Provide better services (diagnose and treatment) for children with autism and learning difficulties for their families and to empower them. 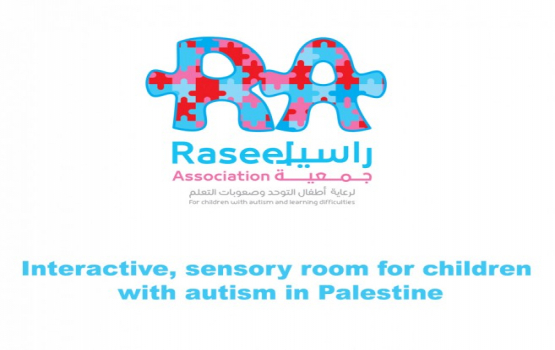 Raseel is an organization that works on a rehabilitation program that includes the occupational therapy, speech therapy and special education for children with autism and for children with learning difficulties from the age of 3 years up to 12 years. What makes Raseel Association for Children with Autism and Learning Difficulties innovative? The organization idea is an individual initiative, that comes after doing a survey in 2016 in many areas in the west bank, about the number of children with autism in Palestine and the organizations that work with the children and the fees for the rehabilitation for the children with autism in Palestine. Which shows that the number is about 8000 child has ASD ( 1 in 56 children has autism). And there is no enough specialized organization that works with the children with autism in the west bank as well as if they want to go to any organization the fees of the rehabilitation is expensive for the parents to pay for. Our organization starts to form that day to work on giving the children with autism the qualified services and with maximum prices. How does Raseel Association for Children with Autism and Learning Difficulties measure impact? We worked on assessing the child ( Occupational therapy, speech therapy and special education if needed) in order to dress the individual plan for each child and the way of starting the intervention. We aim to give the child the best quality of rehabilitation interventions that are used in the other side of Palestine ( Jerusalem) and to have the experience from the specialties therapist from Jerusalem, Who are the supervisors on our rehabilitation unite. As well as we worked on doing a class for children with autism that aims to improve the educational skills for the children and to increase their interaction with the other community. We worked on increasing the awareness about the Autism Spectrum Disorder (ASD) in the society by doing many workshops and lectures about the ASD in schools, organizations, universities, local councils, and Municipalities. Moreover, we work on training the new graduate students that are in related majors and the teamwork on the new interventions that are used in the rehabilitation for children with autism and give the volunteers the opportunity to be in the teamwork and to have a job in their field. - Local and international network social media, fundraises, an international organization that works with Autism. - Fundraising programs, and campaigns. - Integrate the organization in volunteering program.